Gripsweat - AALIYAH - SELF TITLED / 2LP - US ORIGINAL - 2001 - Sealed!! 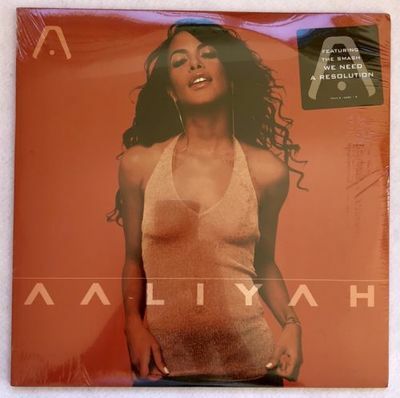 AALIYAH - SELF TITLED / 2LP - US ORIGINAL - 2001 - Sealed!! Please refrain from placing a bid on this item if you are concerned about the small defects the item. Standard Shipping by EMS with trucking number & with Insurance - 1 week to 2 weeks. Economy Shipping by ePacket by SAL with trucking number & without Insurance - 2 week to 3 weeks. for $5 Each additional Records. Please make payment with in 5 days after the listing ends. International Buyers - Please Note: Import duties, taxes and charges are not included in the item price or shipping charges. These charges are the buyer’s responsibility. We do not mark merchandise values below value or mark items as “gifts” - US and International government regulations prohibit such behavior. CAM'RON - CONFESSIONS OF FIRE US ORG 2LP still SEALED!!! Mariah Carey - Mariah Carey '90 LP EU ORG!! BRAND NEW FACTORY SEALED! !